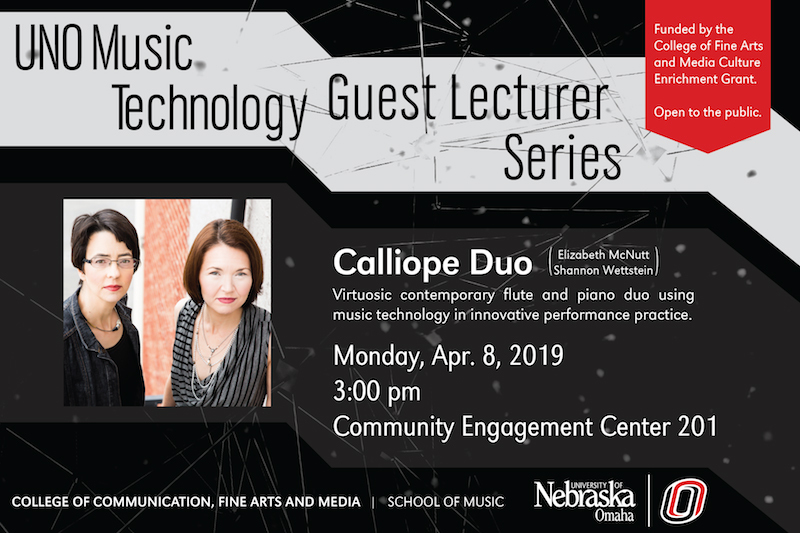 UNO Music Technology Guest Lecturer Series presents ground-breaking contemporary musicians, Calliope Duo, April 8, 2019. Join ground-breaking contemporary musicians, Calliope Duo, as they talk about their use of music technology in innovative performance practice. Together, flutist Elizabeth McNutt and pianist Shannon Wettstein make up Calliope Duo. Find out about their repertoire of work from the latter half of the 20th and 21st century as well as their continued interest in incorporating technology on the concert stage. 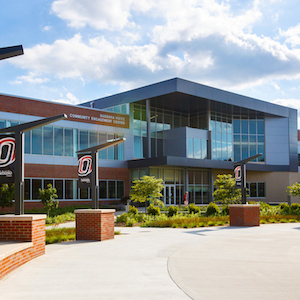 Following their talk, Calliope Duo will present a concert in the Strauss Performing Arts Center Recital Hall at 7:00 P.M.